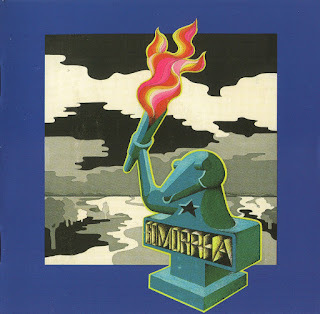 Gomorrha was a potentially fantastic German group that played in an early 70s hard rock/proto-prog style that was similar to the types of contemporary experimental Krautrock being played in Germany at the time. Gomorrha had a decidedly more Anglo-American element than did other guitar freak-out bands like Ash Ra Tempel or Guru Guru. Not only were the lyrics in English, but the group had a more distinct hard rock style, like a more psychedelic Black Sabbath with an eccentric and frenzied Robert Plant on vocals. Gomorrah came out of Köln, the late 60s by Helmut Pohl (drums) and Eberhard Krietsch (keys) were established. With Ad Ochel and Ali Claudi joined at two guitarists in the band. In 1971, at the BASF label, the debut of the group ("Trauma"), which originally registered in the original German version was discarded and the album, the band once again recorded with English lyrics. These commitments were the singer Peter Otten. In 1972 appeared the second and last album Brain of Gomorrah ("I Turned To See Whose Voice It Was"). Previously had joined the band with Mike Eulner a full-time bassist. In 1973, the group quit music and went into the workforce. A pity really. "This album is a milestone of progressive rock. ", there is to read on the Krautrock page. Oho! 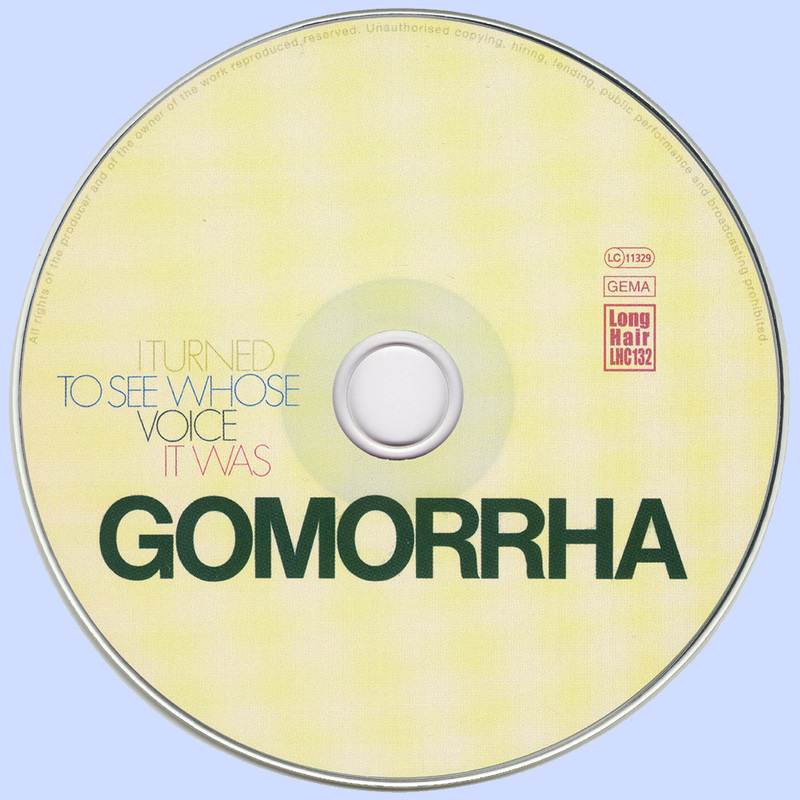 After all, there are two numbers of "I Turned To See Whose Voice It Was", the second and last album of Gomorrah, usually this is a fairly varied, bluesy hard rock or organ Protoprog, the surprise here from the speakers. Like a cross between Black Sabbath and Procol Harum does this often: hit-edged, hard guitar classically-inspired cascade organ, accompanied by drifting drums. However, still more is offered. From time to time there are in fact quite relaxed on the acoustic guitar to hear, discreetly accompanied (in the middle part of "Dance On A Volcano", for example) of the percussion, which is reminiscent of various productions of groups that were located on the West Coast. The title track falls into this category, which, as well as the following "I Try To Change The World" now and then degenerates into a jaunty, folky-psychedelic jam, in the latter number also accompanied by the then roaring organ. Nice! Peter Ottens song fits quite well with the music, is not burdened accent, but sometimes looks a little forced and affected. Otherwise there is not much to complain about. 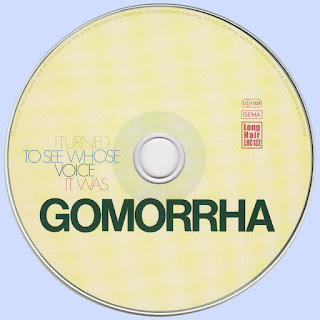 Gomorrah have recorded with "I Turned To See Whose Voice It Was" a virtuoso already put forward album that does not need to hide from Anglo-American models or contemporaries and also has a quite unique touch. A milestone of progressive rock, the disc but not sure. Rather, the album offers a dignified, quite complex, bluesy melancholic hard rock, with an occasional, relaxed West Coast logging and organ that would have been so (and in such perfection) might not be expected from a German group of the early 70s. Particularly herbaceous, in meditiv-cosmic or amateurish-experimental sense, "I Turned To See Whose Voice It Was" is not, anyway. Gomorrha had a decidedly more Anglo-American element than did other guitar freak-out bands like Ash Ra Tempel or Guru Guru. Not only were the lyrics in English, but the group had a more distinct hard rock style, like a more psychedelic Black Sabbath with an eccentric and frenzied Robert Plant on vocals. The main instruments are organ and guitar, which make for some fantastically volcanic moments, as in the titanic opening riff. There is also, oddly enough, something of an American soul or blues influence that often rears its head throughout, especially in the vocals. The band's essential elements make for a pretty incredible mixture of German noise rock and embryonic British heavy metal. Unfortunately the good parts aren't really pulled off for the duration of the album, and are watered down by some poor meandering sections and wordy narratives delivered for the sake of the album concept...the very cleverly titled "I Turned to See Whose Voice it Was" (referencing the Biblical story of Lot's wife) The album seems to be a Biblical concept album involving the Apocalypse of St. John. Incidentally, this album tends to fall into the same sort of traps as Aphrodite's Child's 666, another concept album relating the Apocalyptic saga. "Opening of the Sealed Book" definitely sounds like it could have been on that album, basically a simple guitar riff droning on behind an excessive relation of endless Biblical imagery. The opener, "Dance on a Volcano," starts out awesome, with a heavy organ/guitar riff blazing beneath the aforementioned Plant-style vocals. Unfortunately, the song loses itself midway through with some random acoustic guitar diddling. "Dead Life" is one of the better tracks, a heavier song playing towards the group's strengths, and keeping the experimental portions somewhat interesting. The album picks up big time towards the end with "I Try to Change This World" and "Tititsh Child," which features some intense guitar solos, heavy riffs and cool vocals, as well as some great organ playing on the latter. It would have been great if the whole album sounded like this,where fans of complex progressive rock go scratching their heads wondering what the big deal is. It's underground rock, baby. Nothing more than simple blues rock motifs, gruff vocals, pounding drums, organ shards, and the cherry topping is the long stretches of fuzzy guitar solos, all played And since it's on Brain, naturally Conny Plank was at the controls, so you can expect all sorts of echoing, phasing, and every other studio trick that just plain sounds cool. Dominated sound by ecclesiastical organ Hammond played by Eberhard Krietsch and the spaced out acid guitars of Ali Claudi and Ad Ochel, the lyrics are suitably bizarre, concerning life, death, religion and visionary dreams with a lot of quoting from the Book of Revelation by English singer Peter Otten. Bassist Mike Eulner and drummer Helmut Pohl anchor some tasty psychedelic jams that are played in the fashion that only the best Krautrockers can pull off. So while not necessarily memorable, it is the kind of album that sounds great while playing it. And really, isn't that when it matters most? So strap your seat belt on, plug in your air guitar, and get ready to jam. This is a brilliant mix of psychedelic and progressive rock that never gets raunchy or heavy. Head-melting electric guitars, Hammond organ freakouts mingling with quiet acoustic passages and weird lyrics make this an album that should be in any Krautrock fan's collection.